My challenge for March is to concentrate on the color green. Definitely not my go-to color, but the more I play with it, the more appealing it becomes. GREEN is at the center of the color spectrum, so it represents balance. It is also the color of growth, reminding us of the lushness of nature and the approach of Spring! Known as a healing color, green brings a sense of harmony and is associated with the heart chakra and Archangel Raphael, both associated with healing. Here are planner pages in my traveler's notebook prepared in green. 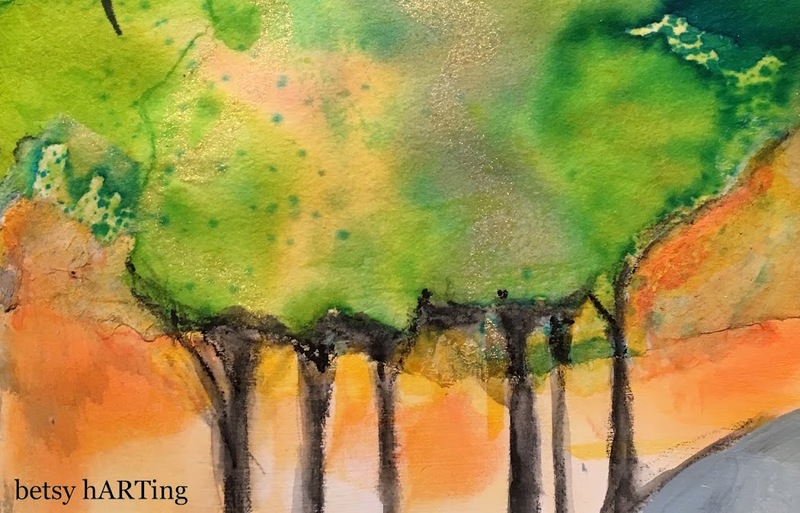 All pages this month are different backgrounds in rejuvenating green. 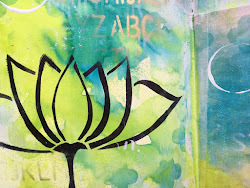 I've been enjoying creating painted papers on thin papers to use as collage in my art journals. 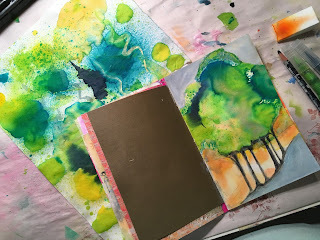 You can see the painted sheet underneath and then the torn tree shape used to create a tree in my journal. I'm also playing with Dyna-flow ink backgrounds (that are permanent when dry) and then adding fun, drippy trees. I've been exchanging birthday cards with my friend Linda for many years - so here's a sneak peak of the envelope on the way to her! And finally sharing this watercolor starring may green paired with pink and violet, isn't it just yummy? Hope you find some time to play with green this month and discover that it can renew your energy!